As the wider community around Cork Harbour continues to await the decision of An Bord Pleanala (State planning board) in relation to the planning application by Indaver Ireland to construct an incinerator in Ringaskiddy, Councillor Marcia Dalton of Cork County Council will address this issue on Thursday morning 3rd August at the Maldron Hotel at the Spirit of Mother Jones Festival & Summer School. Cork Harbour is a beautiful place and home to tens of thousands of people. It is a large natural harbour extending from Cork city to the Atlantic Ocean at Roches Point. Dotted around it are towns and villages, the best known are historic Cobh, Crosshaven, Monkstown and Passage. In past centuries the British Navy long recognised its importance and its ability to provide protection and it created an impregnable series of forts around the entrance making it one of the most important naval bases and ports on the west of Europe. It has been a trading port for centuries and hundreds of thousands emigrated from Cobh (formerly named Queenstown) in the 19th and 20th centuries. Almost 50 years ago, many questioned the Government decision to designate areas of Cork Harbour as a centre for heavy and polluting industry and sought answers as to why the quiet Ringaskiddy Village area was selected as the centre for a deep water port. Located near the south western entrance of the Harbour this small village and community was the furthest location on the harbour from existing road networks, infrastructure such as rail links and connections to the rest of Ireland. That road infrastructure is still not fully in place and Ringaskiddy village itself is now virtually cut off from the harbour. Already then located on Haulbowline Island was Irish Steel and while it provided many hundreds of jobs, its legacy to the harbour has been a large toxic island comprised of 650,000 cubic metres of contaminated waste, which is only now being finally removed. This had given rise to fears for residents and workers health. The simmering resentment over the creation of industrial dumps in the area came to national prominence at the Battle of Barnahealy in May 1978, when a forceful attempt to dump asbestos waste (from the Raybestos Manhattan factory in Ovens, near Ballincollig), in spite of a protest by 200 local people organised by the Ringaskiddy Residents Association resulted in violence. The asbestos loaded dump truck from the factory some 35 Kilometres away was driven through the permanent picket of local people including many children, resulting in nine people being treated in hospital. The asbestos factory closed in 1980. The harbour became associated with the vociferous campaign against pungent odours and pollution from some pharmaceutical plants during the 80s, even as the Merrill Dow plans to establish a factory in Killeagh further east in County Cork were defeated by environmental groups in 1989. There followed a vigorous campaign against the Sandoz factory incinerators by the Cork Environmental Alliance (CEA) in the 90s. 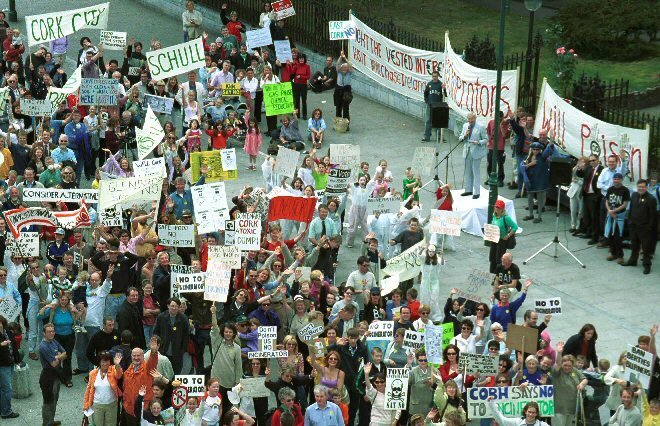 The sustained efforts by local groups such as Responsible Industry in Cork Harbour (RICH) and the CEA and many other community organisations contributed to the then creation of a Department of Environmental Protection and the establishment by its Minister Mary Harney of the Irish Environmental Protection Agency in 1993 (EPA). 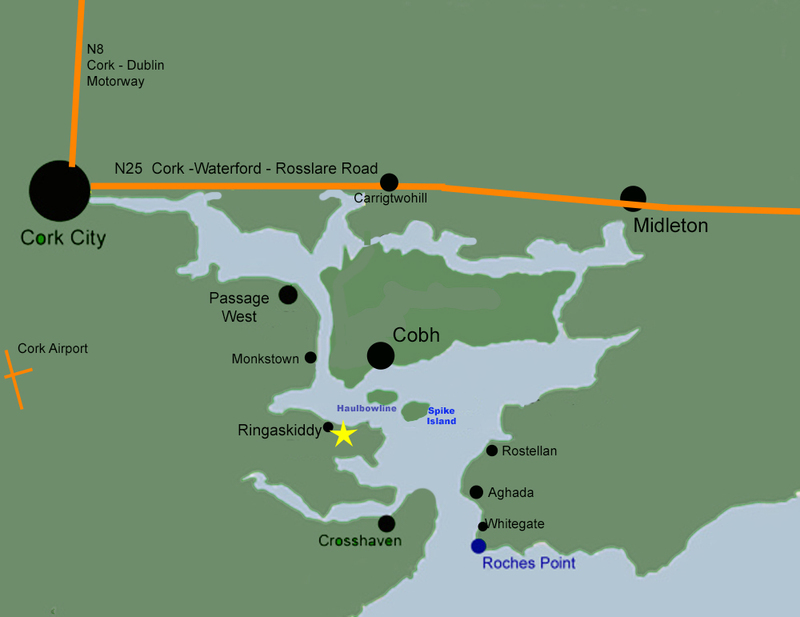 Cork Harbour (not to scale)- the Indaver incinerator site at Ringaskiddy is highlighted with a star. Just a year later, on the morning of 6th August 1993, the Harbour exploded back into public consciousness, and exposed the failures to enforce environmental regulations, when the huge explosion and fire at the Hickson Pharmaceutical Plant to the south of Ringaskiddy village created international publicity. It was a miracle that this accident did not result in a major damage escalation and disaster in the lower harbour as water to fight the flames ran dry. For a critical period that morning, the Cork County Council Report acknowledged that there was “a severe lack of water for firefighting”. Stunned into action both the public authorities and a more progressive industry devoted resources to improving the situation under the watchful and wary eyes of local residents and local environmental groups. The situation gradually improved and tourism, leisure, business, environmental and educational based projects slowly brought about the realisation that this was the way to improve the local harbour economy and create sustainable jobs. Then in 2001, Indaver Ireland, a Belgian owned incineration company, submitted plans for a waste incinerator just a kilometre from Ringaskiddy village, close by the Irish Naval Headquarters at Haulbowline, within Cork Harbour. 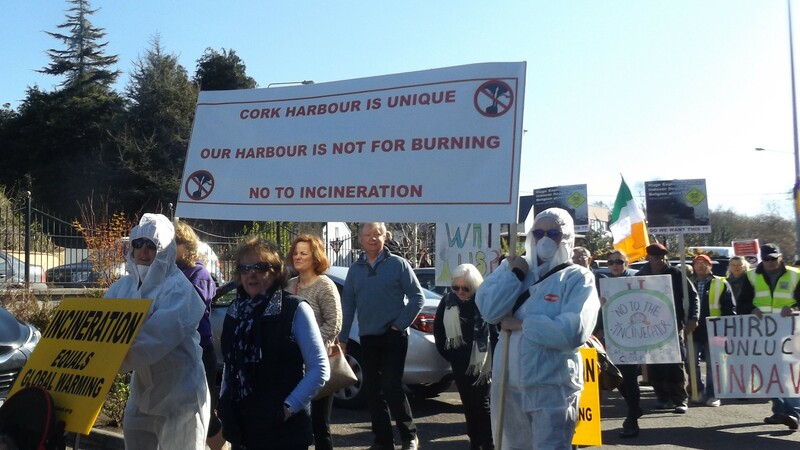 The Cork Harbour Alliance for a Safe Environment (CHASE), an alliance of local groups was established to oppose this incinerator. Described by Frank McDonald, a former Environment editor at the Irish Times in his 2005 book (with James Nix), Chaos at the Cross Roads as “the biggest battle in Ireland so far has been fought over Indaver’s hazardous waste incinerator at Ringaskiddy”, the drums of the battle still reverberate daily in Cork Harbour over 12 years later. A further generation of local people, young and old, has now spent almost 17 years of their lives fighting this incinerator, through three permission applications, through An Bord Pleanála (the State Planning Board), through the Environmental Protection Agency, through the courts in Ireland and Europe. Hundreds of thousands of euro have been raised from voluntary efforts and spent and irreplaceable time lost to their families as ordinary people wade through thousands of complex documents as official deadlines for submissions come and go! 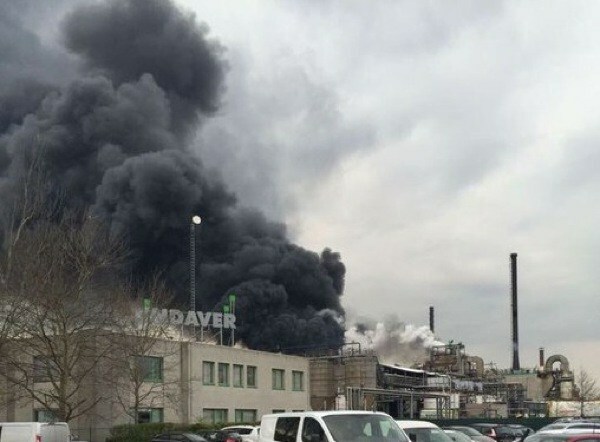 The third planning application for an incinerator to burn 240,000 tonnes of various waste streams was submitted by Indaver Ireland to An Bord Pleanála on 13th January 2016 and a further public planning enquiry Oral Hearing was held during April/May 2016 in the nearby town of Carrigaline. 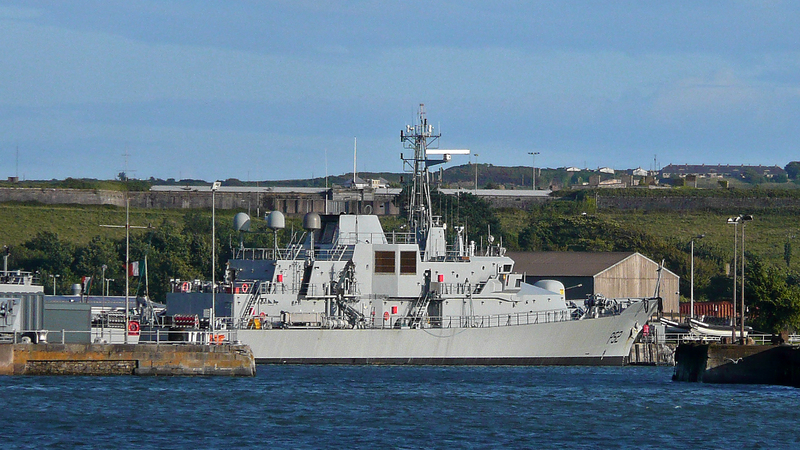 This was particularly noteworthy for the completely united front of Harbour residents, young and old, politicians of all political parties and a wide range of social, educational, tourism, trade union and cultural organisations and the Irish Department of Defence which expressed total opposition to the project. During the 17 day Oral Hearing, very serious flaws in the Indaver planning application were exposed in spite of the behind closed doors consultation between Indaver (involving at least six pre-application consultation meetings since 2012) with An Bord Pleanala, permitted under the fast-track Strategic Infrastructure Act 2006. 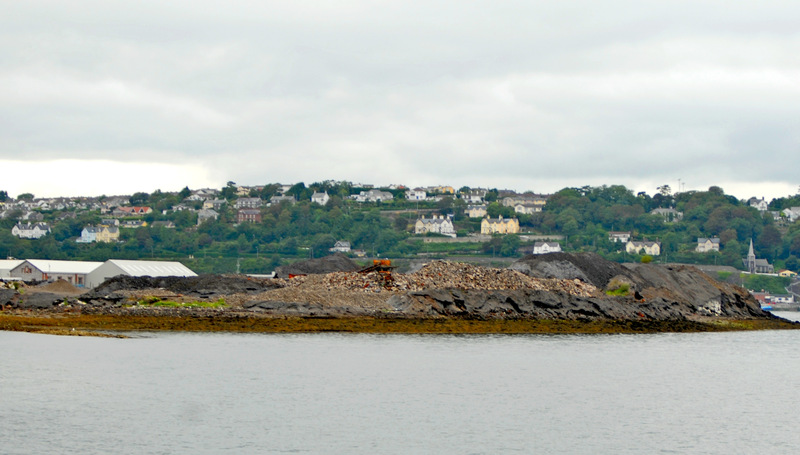 Toxic Legacy – slag heap from former Irish Steel plant on Haulbowline seen from Spike Island. Photo: John Jefferies. Tuesday evening April 26th 2016 (Day 6) of the Oral Hearing was described as “electric” by Caitriona Reid in her recent book “Our Third Fight” as dozens of local residents vividly and angrily described to the Planning Inspector how their community had suffered through bad planning over the decades. 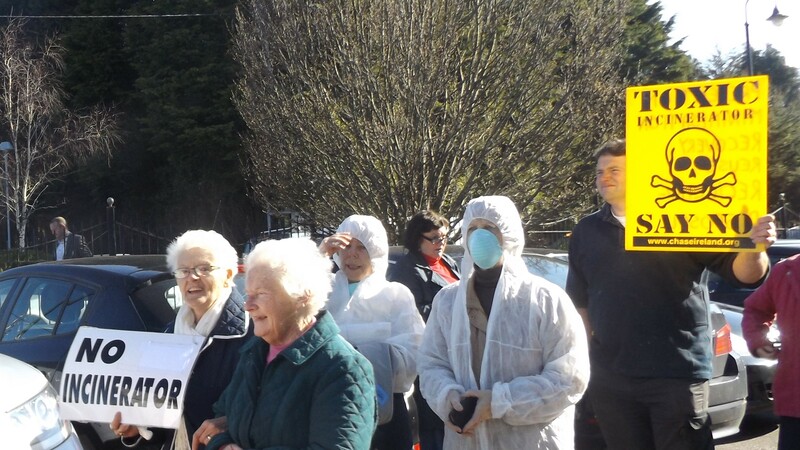 Residents have now spent 60 days at oral hearings into various Indaver incinerator applications and have repeatedly stated that they have no trust whatever in the Indaver Ireland company. To date a fourth decision deferral has been made by An Bord Pleanala (August 10th 2017 is the latest decision day! )…… and so will continue a new round of the battle in what may already be the longest running environmental battle anywhere in Europe…..the battle for environmental justice in Cork Harbour. 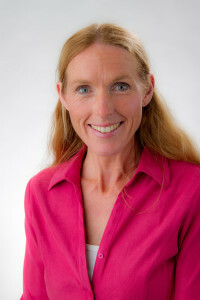 Councillor Marcia D’Alton, is an independent Cork County Councillor based in the Passage/Monkstown area. Marcia is an environmental engineer and one of the opponents of this project. She will tell the story of this saga when she talks on Thursday 3rd August at 11am at the Maldron Hotel. Her presentation will form part of the “Environment Day” on that date at the Spirit of Mother Jones 2017 summer school.